From the author of Seabiscuit this is the story of Louis Zamperini an incorrigible youth who became an Olympian in the 1936 Berlin Olympics. He became an airman in WWII serving in the Pacific. He was captured after drifting in a life boat for over a month and was held as an unlisted POW in Japan during WWII. He was unlisted because the Japanese recognized him from the Olympics. They wanted to turn him to a propagandist. 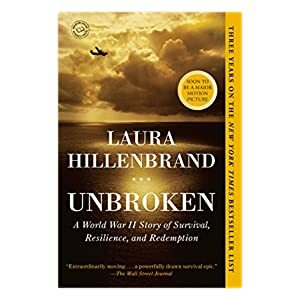 After reading this book many people finally understand what their family members possibly went through if they served in the Pacific during WWII.